Hi, I am a Transformational Coach & Holistic Therapist living in the lush, hilly areas of the Sunshine Coast, Australia. 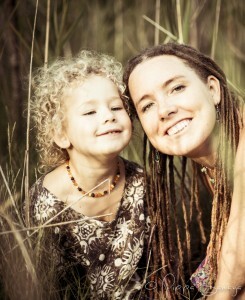 I am passionate about vibrant, blissful living & nourishing myself & others from the earth’s abundance. I believe we are all born to shine! In fact, the way I see it, we already are, we simply have to recognise it. My business ‘Equinimity’ was born from a desire to offer vitality, wonder and healing to my local community and the planet at large. I am deeply passionate about the power of creativity and the benefits of living naturally, close to the earth, with natural medicine, luscious foods and expanded awareness. 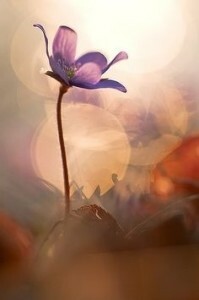 I believe as creative, spiritual beings it is up to us to live in our full expression of vitality and radiance! It is what we are here to do. With over 21 years of working in the wellness industry working ‘on’ people (with a variety of therapies) I felt it was time to start working ‘with’ people. And by that I mean, with the Vibrant, Creative, Illuminated Being that is our very essence! It’s time to share and inspire others to find their passionate spirit, and offer pathways to intimately touch the inquisitive wonder of Being, that both creativity and insight can reveal. I hope tenderly and dearly, that you will come and join in this uplifting community of spirit – and share with others and the world these quiet, joyful inner experiences as well! A little about Zoe, founder of Equinimity….. I have a lifelong interest in Natural Health and Personal Development. As a long term meditator and teacher, I am passionate in understanding the subtle world of nature and energy. As this magical journey unfolds within my own heart, I have been guided to empower others on their path. 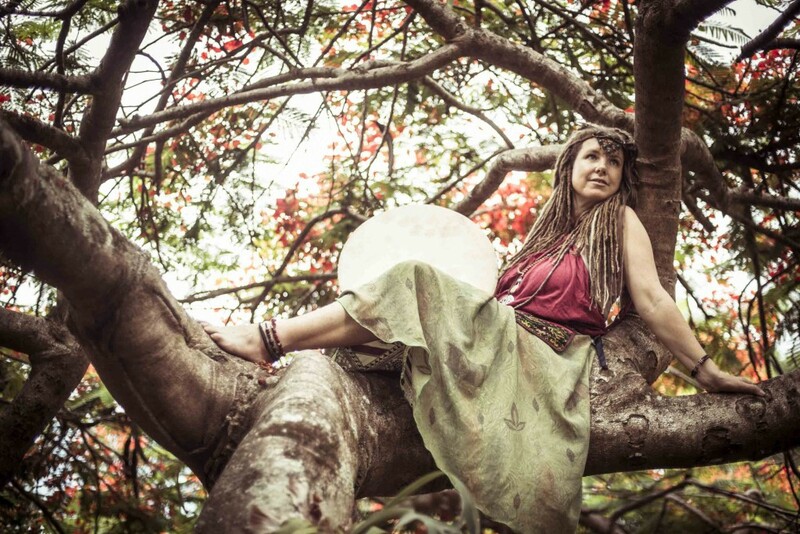 What began as a 15 year background in meditation and creative therapeutic pursuits, has expanded into facilitating retreats both in Australia and overseas in the fields of meditation, creative exploration, healing and self-discovery. My focus and skill is centred on assisting people to break through the confines of limitation – to live from their true, authentic, radiant self. As a professional Acupuncturist trained in a range of Oriental therapies; including Japanese and Chinese Acupuncture, Shiatsu Therapy, Cupping, Dietary Therapeutics, Sotai, Tui-na, Moxibustion, Gui Sha, Ryodoraku, Meridian Frequency Therapy, Scalp, Auricular and Cosmetic Acupuncture. My trainings are in Classical, Zen and Barefoot styles of Shiatsu and my qualifications encompass both the people and equine fields of development. Since my initial trainings I have also extended my studies to Herbs, Essences, Natural Oils, Nutrition and a variety of complementary medicine modalities such as Aromatherapy and Homeopathy, combined with energy healing techniques Reiki and Healing Touch, that I apply to both people and horses. Discovering the healing and rejuvenating power of breath, has been a transformational gift for me and the many people I have had the priviledge to work with intimately in my practise. I am immensely grateful for the skills and insights I have experienced – and offered – as a professionally trained Breath worker. The ability to centre, and use awareness and breath has provided profound opportunities for transformation for others and continues to provide alchemical resources for those seeking to live with ‘Passionate Aliveness’. Currently I am completing my Advanced Diploma in Transpersonal Counselling. I am also a fully qualified Art Therapist, which combines my love of the creative, with the healing and rejuvenating power of exploring a depth that exists beyond habits and personality. Inner and outer harmony; and cultivating balance, awareness and equanimity in daily life is where I place my attention. And from this all things flow – creating a space where others feel deeply nourished, enriched and at home in themselves. 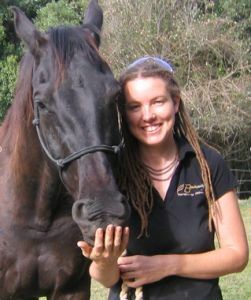 Tandem to my healing work and spiritual endeavours, I have spent many years working with Horses, spanning 10 years working as an equine educator and holistic equine therapist. I have had the joy to author several books on holistic therapies that empower people in understanding the subtle dynamics of equine health. I began my relationship with horses at an early age. By 10 years old I was competing successfully in dressage and show jumping. Going on to train in the UK in the traditional ‘starting’ of young horses, the thrill of achievement began to wear off as I discovered new ways of being and listening to horses. I then went on to further my understanding in Natural Horsemanship in Australia, being at the forefront of the natural horsemanship movement. For five years my business ‘Human-Horse Communication’ (HHC) based in Victoria, involved the starting and training of young, inexperienced horses and the re-training of so called ‘spoilt’ behaviour in older horses. Very quickly I was to discover, this was as much about ‘people’ re-training, as horse retraining. And the subtleties of learning horse communication, were at the centrepoint of learning to understand one’s self, and gain mastery over one’s own energy, before ever hoping to gain mastery with one’s horse. I observed that natural communication with horses arose when one learned to work harmoniously within oneself. And that in order to understand the way our horses think and interact, we must first learn to become quiet within ourselves and observe. From this space, with clear and fair communication – presence combined with self belief – become your greatest assets when connecting with your horse. It became very evident that a relaxed attitude of clear communication with respect – whilst remaining centred and present – would always deliver the best results, regardless of the chosen field of horsemanship. From an early age I have felt the call of horses and have been deeply motivated to find ways that make the path of the horse in the human world one of pleasure and connection and richness. I believe each of us has the ability to experience a deep connection with nature and animals when we expand our consciousness to encompass all beings. Currently I live on the sunshine coast of Queensland, Australia with my partner and our beautiful daughter on 12 gorgeous acres. Here we grow nutrient rich food and live by the principles of permaculture and sustainable living. Please join me as we journey deeper into the space of Enriched Living.